Foodie Gossip: Ben & Jerry’s Ice Cream Giveaway: It’s Today!! 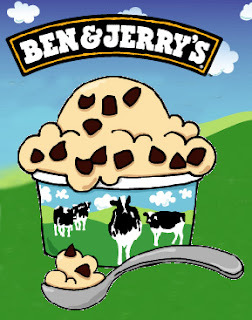 Ben & Jerry’s Ice Cream Giveaway: It’s Today!! Ben & Jerry’s Gives Away Free Ice Cream!! Today is Ben & Jerry’s Free Cone Day, from noon until 8pm!! Ben & Jerry’s is giving free ice cream cones to their customers today as a “thank you” for 33 years of great service and to introduce some new ice cream additions that include Late Night Snack: Inspired by Late Night with Jimmy Fallon, Bonnaroo Buzz: inspired by the Bonnaroo Music and Arts Festival, and Stephen Colbert’s AmeriCone Dream. Here’s my advice: Run as fast as you can to your local Ben & Jerry’s ice cream shop and partake in the best food promotion I’ve seen in ages. After all, who doesn’t like BJ’s? Locate a Ben & Jerry’s near you. Side note: I am not in any way affiliated with Ben & Jerry’s. But how can anyone pass up free ice cream?? Top Chef All Stars Season 8 has been Hammered!